All That Is Solid ...: Bite the Bullet or Bite the Dust? Imagine, if you will, the issuing of a document from the cranky wing of your own party that threatens to collapse your government. Then pretend spinning it as a contribution to the "policy-making process" because you are desperate, desperate to hang on. Well, you don't have to poke around that particular thought experiment because this is the state of Theresa May's premiership. Liberal Ambz may have resigned on Sunday, but the government was rudderless long before it. May's project, if it can even be called that, is to just about get her government through each day as it comes. She harbours an ambition of leading the Tories into the next general election, but that's about the limit to it. Once she believed she could reshape British politics, and looked like she was in a position to do so. Ah well. And so we have a finely balanced government in which everyone has an interest in seeing her go, so no one has an interest in deposing her. Forget the cabinet guff about leavers and remainers, what's at stake is ambition and advancement. Johnson fancies it. Gove fancies it. Fox fancies it. Williamson fancies it. Javid fancies it. Even Jeremy Hunt fancies it. What none of them covet, however, is the ignominy of a fractured party, complex Brexit negotiations the government still haven't got a handle on, and facing a the possibility of a comprehensive defeat at the hands of Jeremy Corbyn. They won't move until she moves, despite mutterings around the backstairs, and so on drags the agony. The doings of our friends the European Research Group does, nevertheless, pose a threat that could upend the balance. Clearly, it is obvious to anyone without either an axe to grind or personal investment in the Tories that if Britain wants to have something approaching "frictionless trade" with the EU while avoiding a return of the border in Ireland, or its shifting into the Irish Sea, then it's either going to have to reaffirm present customs relations or try and recast them as a new customs union - as per Labour's position. May, as a not particularly adroit appeaser of her Brexit crank band has junked the words custom and union as unacceptable and, while hoping the ultras don't notice, favours, um, a customs union with the EU. A variation of Labour's position, in other words. The ERGies, or Moggleyites (select your preference) might be daft, but they're not that blinkered. In all likelihood such a lash up would keep Britain close in the EU's orbit, close to its regulatory standards, and retain the pre-eminence of EU law over English (and Scottish) law. All unacceptable for our belligerent Brexiteers. You'll be familiar with their dismal political project by now. Ripping up and disaggregating 40-odd years of economic integration with the EU and its predecessors will be magically compensated for by trade deals with Australia and New Zealand. But we'll have sovereignty back and what we'd do with it is reduce corporation tax to minus figures and transform Britain into Singapore (democracy optional) and bask in a new golden age of global trade. Undoubtedly, some of the ERG crew and their small gaggle of supporters find this genuinely inspiring and have worked it up into a grand scheme of post-imperial, national renewal. Those, however, are the good reasons. Because we are talking about politics and politics are, as we know, about the clash of interests, you have to ask who gains from this putative state of affairs? The ERG is a project articulating the interests of a section of British capital or, to be more precise, finance. Superficially dynamic but socially useless, anyone who have interests in zero capital controls, low-to-no tax regimes, and a well educated but quiescent labour force kept on a leash by tight labour laws would prosper in the medium to long-term in this "Global Britain". In this respect they are utterly Thatcherite, and not just because of their market fundamentalism, but because the ERG would happily throw the collective interests of British business under a bus for their narrow concerns. Funnily enough, it makes them the heirs to Dave as well, as well as toxic for May. Brexit is their opportunity, their "we're in the money", to borrow a phrase, golden opportunity to shape British politics around the ERG's priorities. Mogg might say he would never conceive of voting to bring May down now, but they're not about to let this chance slip away without a struggle. If they can be so cavalier about the general interests of their class, shafting May's government is small beer. 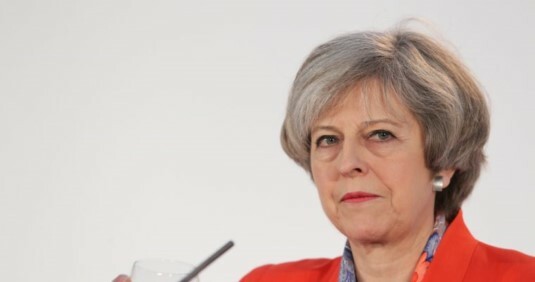 Just as well then that May is stonewalling with another round of "revisions" and "clarifications", but sooner or later she's going to have to bite the bullet or bite the dust. Which will it be? Isn't the ERG's plan to wait until Britain is out of the EU in March 2019, and then depose May and tear up whatever agreement had been made with the EU? "Imagine, if you will, the issuing of a document from the cranky wing of your own party that threatens to collapse your government." Other than that Labour are not yet in government, I was expecting that was going to be the start of a story about a document produced by Progress, Labour First, or the JLM! But, we have become inured to them, they are so frequent. I like the concept of identifying the class interests behind the Mogg-Fox position. Much of the time their position seems literally incomprehensible to remainers as it seems so anti-business, anti-economic growth/trade, and also largely anti-finance (not to mention anti-peace in NI). But if you can identify that some sections of finance would benefit and name them, we can start to be more productive in opposing this. I also suspect that there are US interests being pushed by Fox, given his history, so potentially rival international capital interests being played out. If we can name these more precisely it also opens up a potentially fruitful political line of "betrayal by elites" of the Brexit project - that the "reasonable" ambition simply to leave the EU is being exploited by finance elites to damage trade etc to benefit only them. The betrayal narrative might be particularly effective for socially traditional, authoritarian-minded voters who typically were associated with voting for Brexit. Wishful thinking perhaps. There's nothing wrong with ambition and advancement. If Labour or anyone else thinks staying in the EU Customs Union (probably impossible anyway when we leave) or negotiation some sort of customs union agreement will somehow facilitate frictionless trade, or anything approaching it, then they continue to live in cloud cuckoo land. The EU began life basically as a customs union but despite this, and before the advent of the Single/Internal Market, trade between EU member states was far from frictionless. It was the creation of the afore mention SM that enabled goods, and some services, to pass across borders without hindrance and only staying in will enable this to continue. Even the most far reaching FTA is unlikely to replicate what we will lose and this will take at least a decade to negotiate and implement.